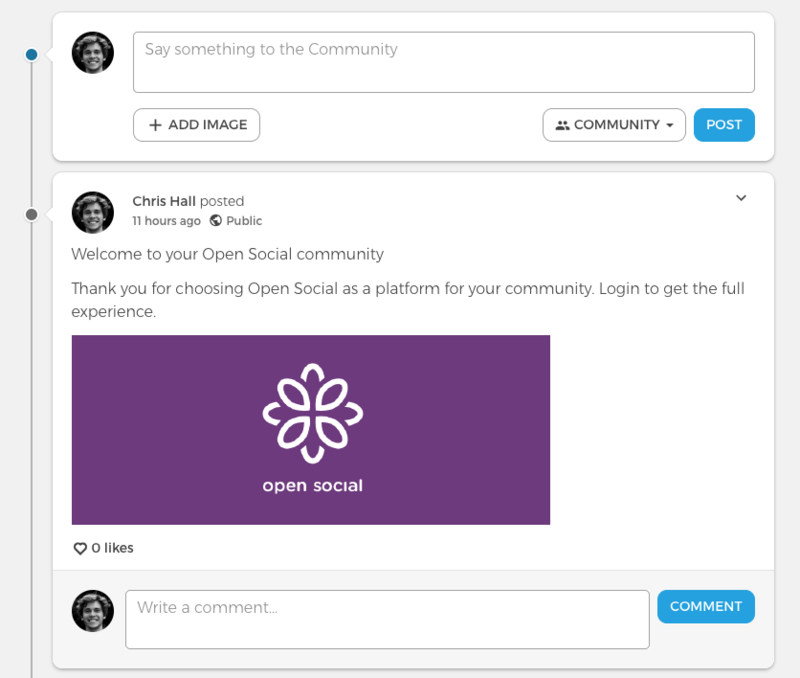 Post allows users to leave a short message to the community, to another user or to a group. Users can add text and an image to each post. An author can edit or deletes the post he created, site managers and content mangers can edit and delete posts of all users. edit or delete option can be reached using the pointing down arrow in the post created by you.